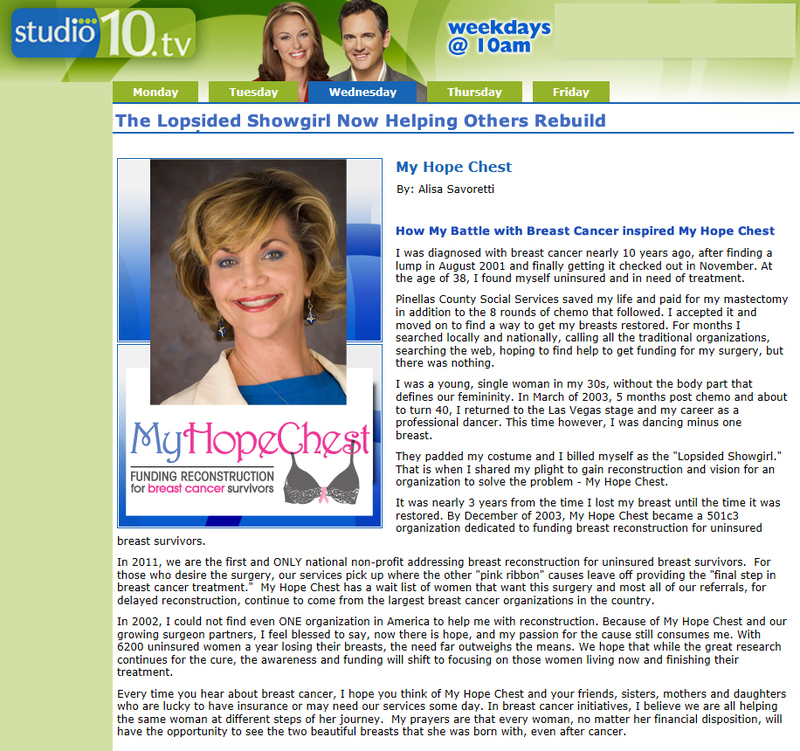 My Hope Chest has been featured on television and radio segments since our inception in 2003 and we are proud and grateful for the support of the media an advocacy of people like you keeping our mission for women alive! My Hope Chest ~ In the News! Click to Watch: Our Celebrity Ruth Connell from TV’s SUPERNATURAL in support of My Hope Chest with the G.I.S.H.W.I.S.H challenge. 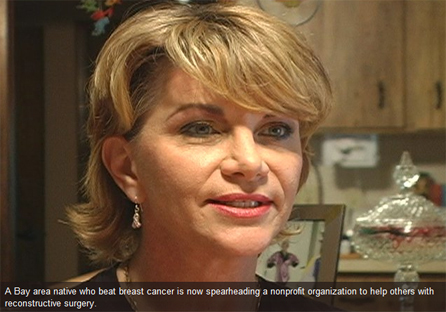 A woman who beat cancer is now spearheading a nonprofit. Read the full Bay News 9 story here. Watch 2013 WEDU Be More Awards: Be More Entrepreneurial on PBS. See more from WEDU Specials. Watch 2013 WEDU Be More Awards: Be More Involved on PBS. See more from WEDU Specials.